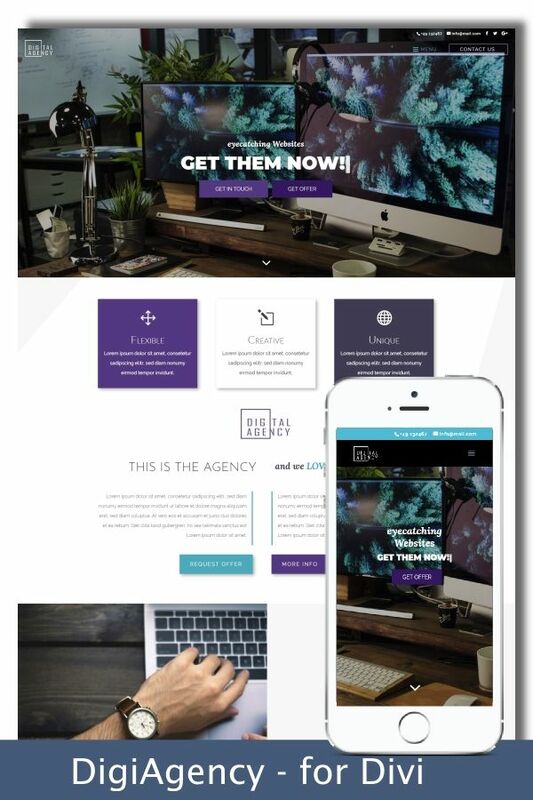 TheCube Agency is a beautiful designed versatile & multi purpose Divi Child Theme and comes with lots of premade elements and modules. Choose your ones which are perfect for your project or agency. 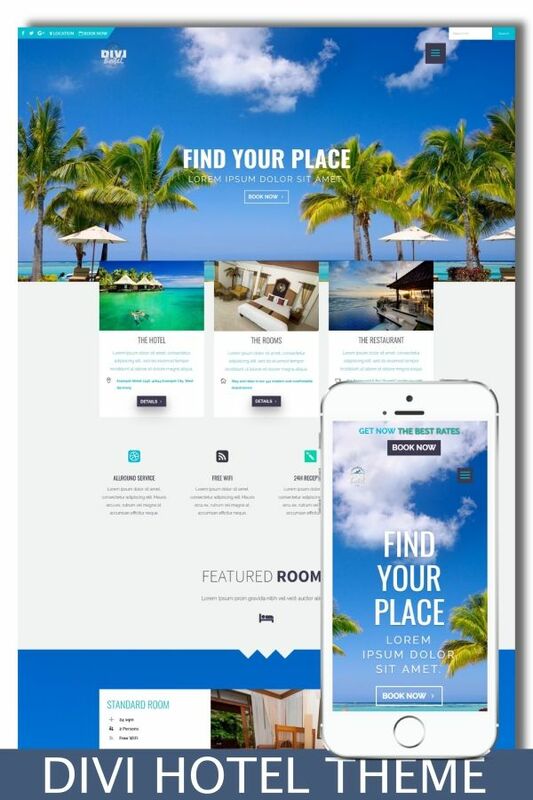 You can use it also easily for any other project like Hotel Theme, Restaurant Theme, Wedding Theme, Digital Agency etc. 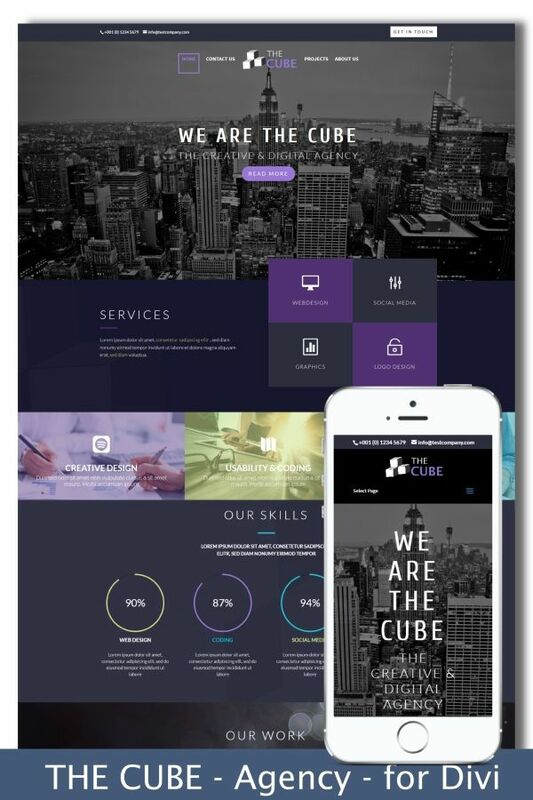 TheCube Agency comes with 5 different layouts for your Starting Page (Home), your Projects Summary(Projects Overview), your Projects Ind. 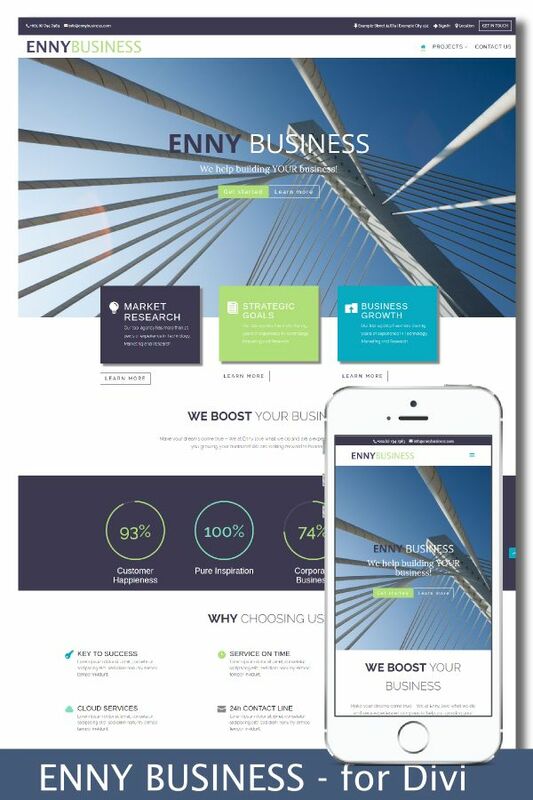 Page, a Contact Us Page a About Us Page and +14 carefully designed & fully responsive modules / elements. 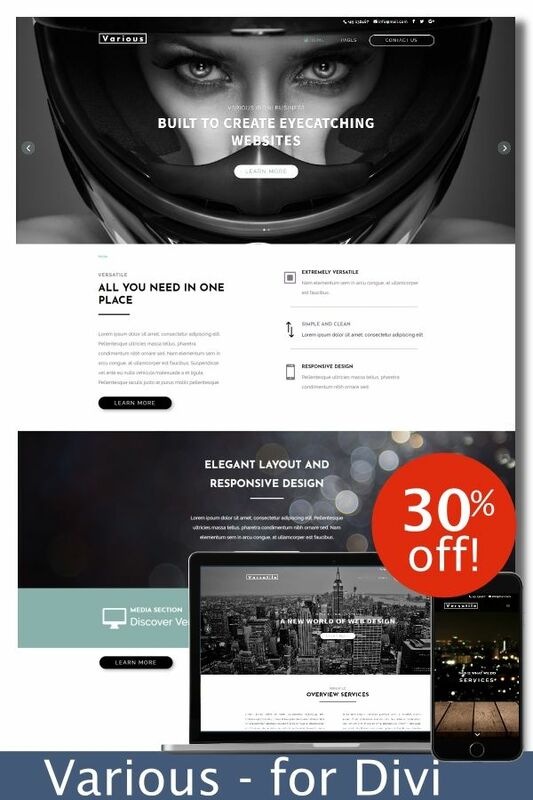 All layouts can be used and combined for any of your web-projects. The project modules can e.g. 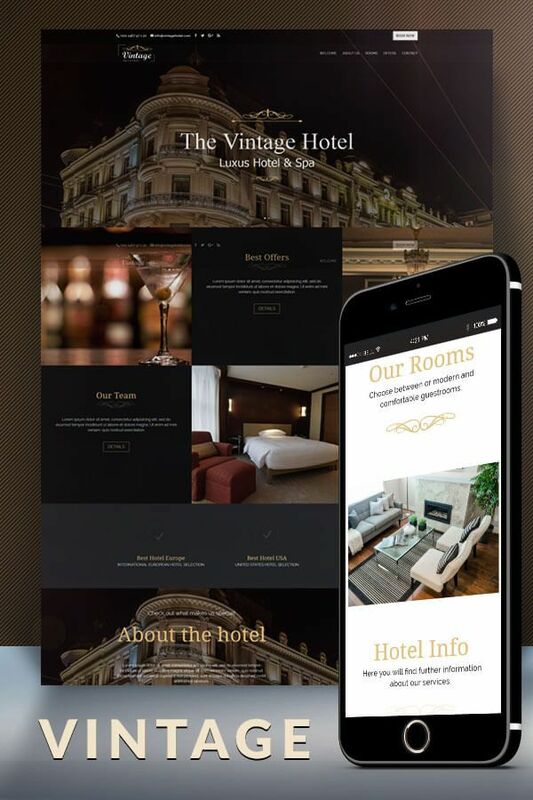 also be used as rooms and rooms overview pages for a Hotel Design. All modules and elements are aalso conversion optimized and A/B tested for optimal user experience.